I guess I’ll settle for the shields then? I think they will end up being pretty cool to be honest. 3. johgar - Grand Touring - Standard Front Mats & Cargo Mat - Black/Red Border - w/ Shields. (cannot update/edit my post). 4. 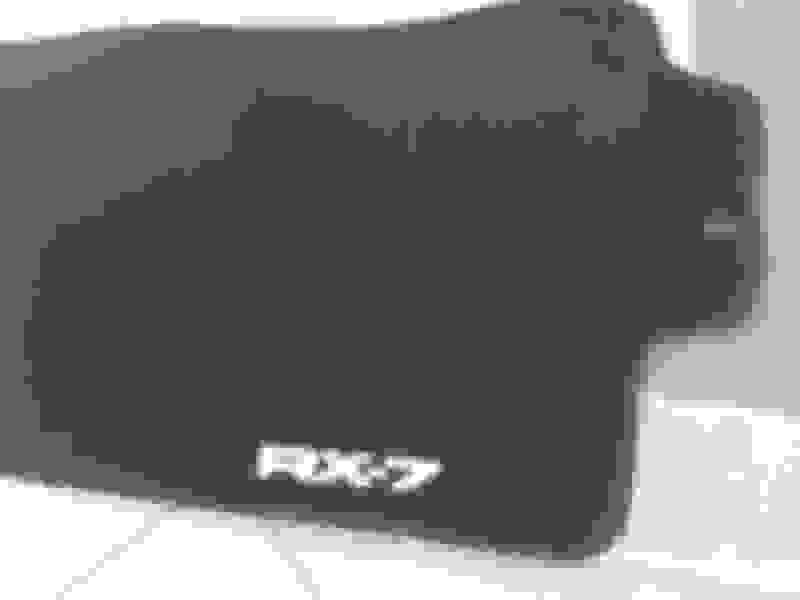 Yusolso - Luxury Touring - Front mats Berber with shields Black/Black border. May I recommend we have heel toe mat on the drivers side? Helps keep wear down on the carpet. A plastic or an aluminum one will do. Heel pad is available for $15. 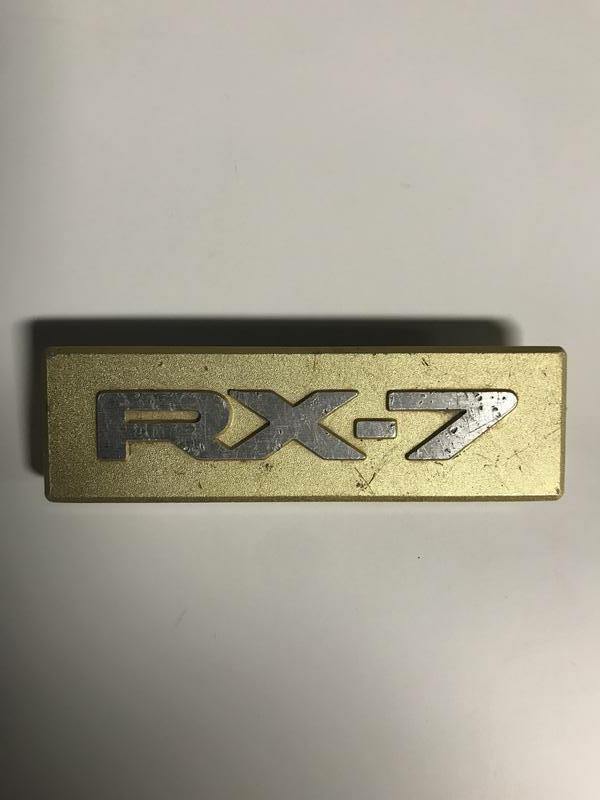 Can you post a picture of the "RX-7 Shields"? If possible, I might want those on their own for other purposes. I was lucky enough to get the ones from Jason's while the logo was still available. in any case, thanks for picking up this project and supporting the community! This isn't a final version - this is what I snagged off a JDM floor mat to model off of. Basically, we'll run these through the CNC, then background will be textured like the SBG foot rest (textured silver) with the 'RX-7' raised and polished. If these are $15, I'd take a few for no other reason than they are cool. These are the mats I ordered first time around. I'm thinking of doing the same except to move the entire logo and lettering down a bit to give room for the heel pad for just the driver side? I'd like to see that but with black letters so it's kind of stealthy. Can we do these? Would you be able to do red mats? I have the factory red carpet in my car. Might be hard to match though unless you guys have a sample on hand. On the Touring style there is a "red" available - but it's more maroon. 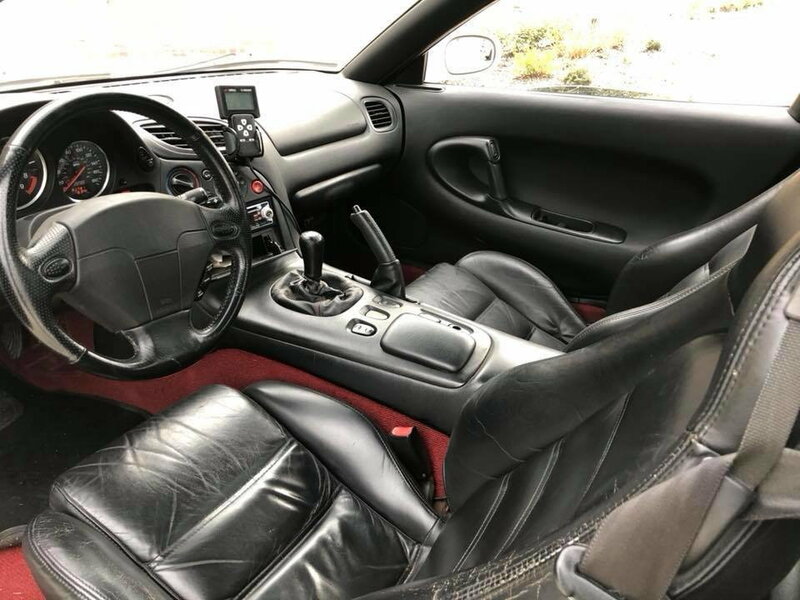 Probably a shade too dark for red FD interior. I would see if you can live with black. If you get a hold of the FC templates I'd pick up a set. When I picked up my last set it was hard to find someone that had that had the cargo template. Also, love the fact you're picking this back up. Definitely still a market for them. 15. Sgtblue - Lux Touring -LHD heel pad, w/shorty mat. black with red border (would like to see color sample/pic) Shields. I will start a thread in the 2nd Gen area. Awesome. Incoming PM since you are local. Didn't get the PM but local is awesome, I believe you're in Pontiac? I'm out by Brighton. Im trying to decide on color of border and also picture how the heel pad and shields would look like on completed mat. You wouldn't happen to have a picture of a driver side mat with heel pad and shield in ithe expected positio by any chance? Will there be an option for RHD mats? Not right now. If there's enough interest (10 sets or so) I could get the templates made and do a run (I have a set of JDM mats here). Maybe if people want RHD - start adding your name to the list w/ options and note you want RHD. That way it'll give us a sense for the demand. 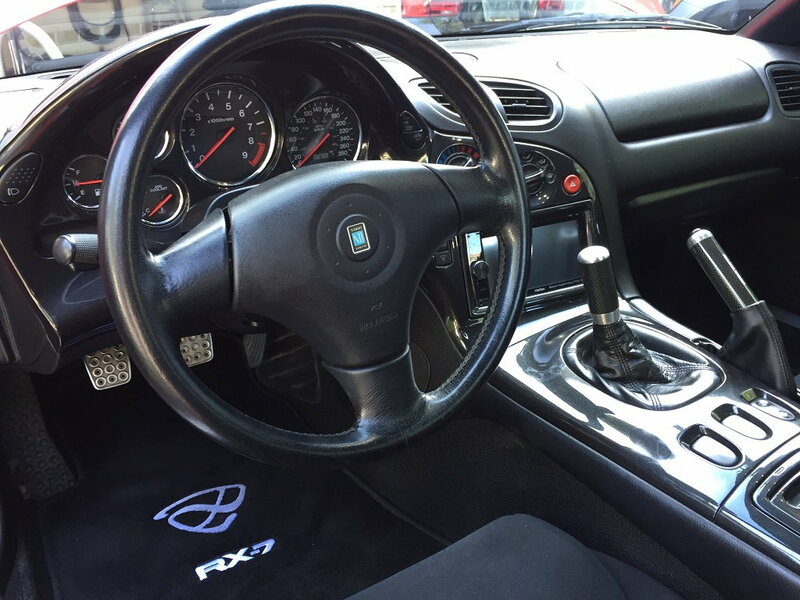 anything on an option with the embroidered RX-7 logo like the OEM USDM mats? Actually I believe my interior is the touring red interior. I just have black seats because thats what the seller put in because my car was a shell initially. It's actually a dark red carpet. Not bright red like the Spirit R Recaros. Do you have any samples of the red mats? Would you be able to do it in red with a black border?